Check out our great quality Tipper Trucks for Hire. We are based in the Ringwood area and offer domestic and commercial tipper truck hire to the Bournemouth, Southampton, New Forest, Dorset, and Hampshire areas. 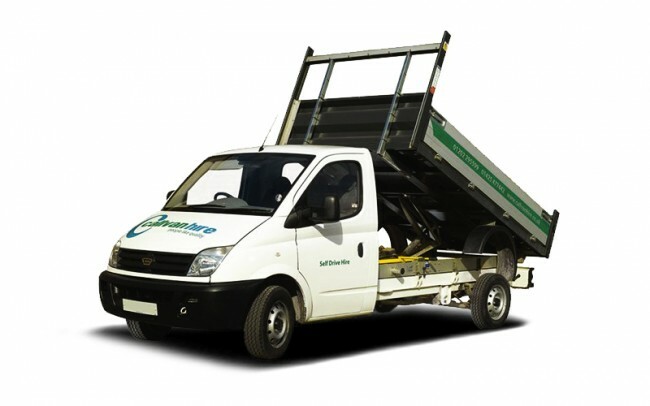 Our tipper trucks are high spec vehicles and great for domestic and commercial use. You can use our tipper trucks for a range of uses. Tipper trucks are perfect for transporting a variety of different items such as domestic waste; construction waste and garden waste. Our Tripper trucks for Hire come with a range of van hire extras aswell as lots of included features. You can hire trucks, ramps, trollies and packing materials from us to make your tipper truck hire as easy as possible. Why not make the most of our Flexi-hire service? This flexible vehicle hire service allows you to hire a tipper truck on a short-term basis or a contract-hire. Our contract hire service is great for business and offers long term hire at at great price. We can tailor your tipper truck hire to fit your needs and requirements. Take a look here at our tipper trucks for homeowners, domestic customers, small business and large businesses.